The first of August is always exciting for Patsy and I because it means we have completed another year of sharing our love and views on beauty, faith and life with the world. Most of our views come from Nigeria but we also have a big following in the USA, UK and even Russia. We are so grateful for every single click we get and every comment posted. As young makeup artists in our Alma mater, Afe Babalola University back in 2015, we always got questions on our thoughts on makeup products, recommendations and makeup tips and tricks. I always got natural hair questions and Patsy's fashion sense was always a hot topic. We both loved these "consultation sessions" and being friends of 9 years at the time, it just made sense to start a joint blog. Patsy was already blogging individually on ColourHerLush. I honestly did not do any research before embarking on this journey, I did not understand algorithms, SEO, Google Analytics, etc. For over 7 months, Tade of Hego3rip (he designed the blog btw) managed our blog posts (we would email him a post and he would upload it, lazy I know). Then we didn't post for over 6 months lol. Needless to say, our first year was challenging. Our second year was way better than our first but we were still just learning the ropes. 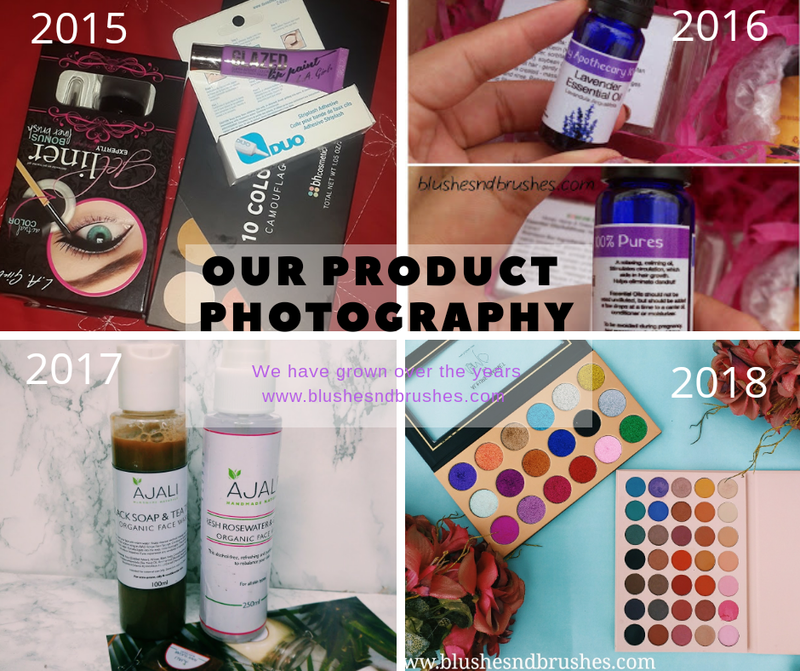 We started taking better product pictures and we even hosted a second anniversary giveaway in collaboration with some brands. Our third year has been our best so far. We are taking great product pictures. Patsy's healthy relaxed hair is flourishing. My skin is popping. We are working with more brands. We are both rounding off our law school and we have gotten almost 30,000 page views despite our lack of consistency. Sounds like a win. 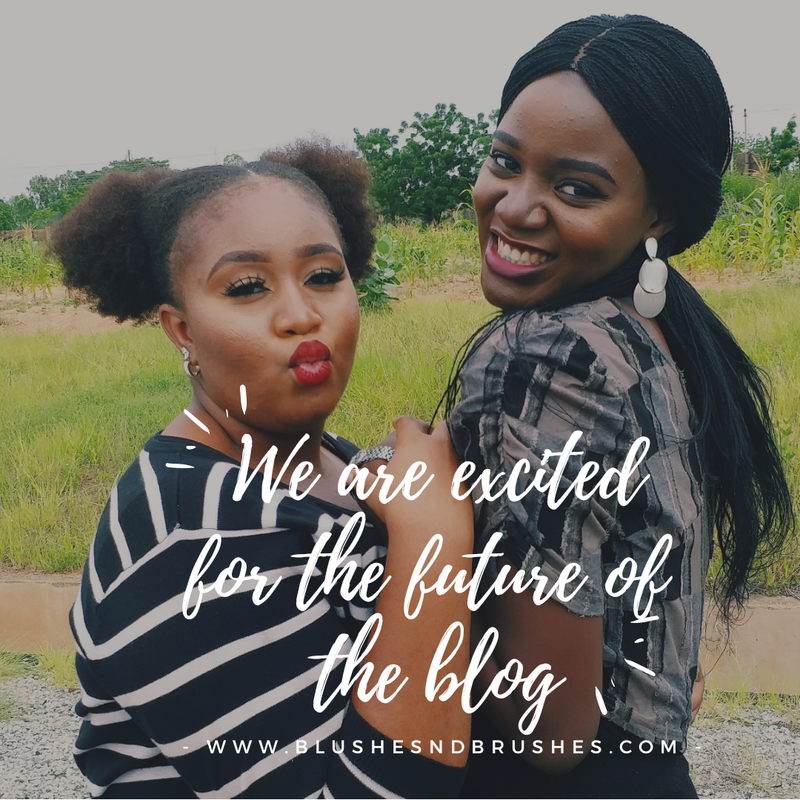 The ultimate dream is to grow blushesndbrushes to be a global brand renown for cool and concise information on all things beauty with special focus on Nigerian made or owned products. Patsy hopes to make her social media reflect her blogging. I hope to get better at photography as it is one of my passions. We both hope to be more consistent with putting out quality content. We are learning, we are growing. We express our gratitude to all our friends and family who visit the site and share our posts on several social media platforms. It's always humbling to meet someone who recognizes us or tells us that they have visited our blog before. We are grateful for those who don't know us but share our posts, you are the best. 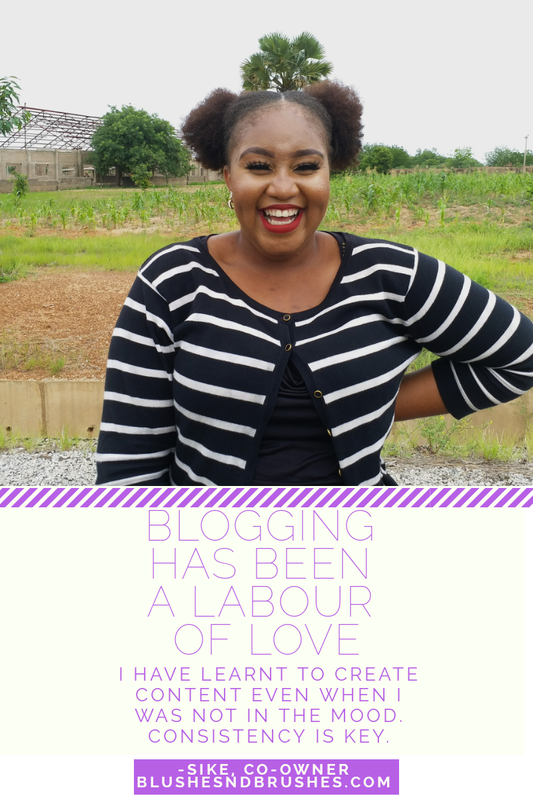 We are grateful for the community of bloggers we have met over the years especially through The Blogger's Advocate. 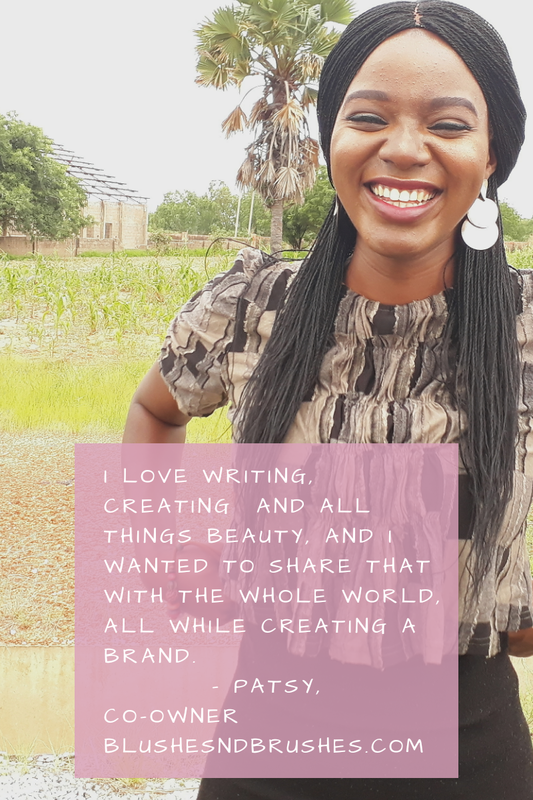 We are most grateful to God, our Abba, for sowing the seed of this blog into our hearts and to the Holy Spirit who constantly gives us the inspiration to write. We hope you stick with us for the rest of the ride, we have only begun. Xoxo. See you in our next post 💜. Hello! First time on your blog and its beautiful! Congratulations are in order I suppose. I know bar finals just ended. Best wishes.